“Uri Geller.” Two words which seem to invoke passion in anyone who has read about or seen this truly remarkable person. Yet if one is lucky enough to meet or speak to the man himself, you quickly realise what a disarming and genuine person he really is. Uri says that he first became aware of his mindpower at the age of four. He was eating, when the fork he was using bent and snapped. His mother, a member of the Freud family, was not surprised at his ability and nurtured his childhood accordingly. It was this acceptance, rather than denial, which enabled his self belief. A belief, Uri says, is inherent in all children, it is social conditioning which creates the denial. After getting wounded during the Six Day War, Uri left the Israeli Army, and worked as a fashion model by day, and at night started to give displays of his mind-power with the support of his brother-in-law, Shimson ( Shipi ). His extraordinary demonstrations quickly became well known and he soon developed a professional stage show. Nothing really strange about the story so far, yet word had spread. Far enough to warrant the mysterious Andrija Puharich to enter the scene ( see http://www.forteantimes.com/artic/126/nine.html ). Puharich had been working previously with the equally mysterious, Dr Vinod, drawing together ‘channelled’ information on the principles of ‘The Nine’ and was a pivotal figure in the ‘contactee’ movement. Under the wing of Puharich, Uri was flown to the USA, where he was introduced to astronaut Edgar Mitchell, and physicists Hal Puthof and Russel Targ. 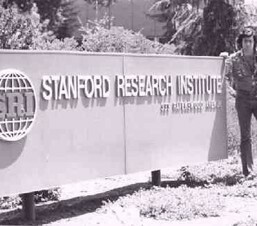 In December 1972 he allowed himself to become the subject of a scientific study undertaken at the prestigious Stanford Research Institute at Menlo Park, California. “My co-author Jane Katra, a spiritual healer with small delicate hands, rolled up the bowl of a teaspoon at a PK party with Jack Hauk last year. She was quietly meditating (waiting for the party to end, so that we could go home) when she screamed! The bowl rolled up 180 degrees in her closed fist, and frightened her. We took a picture of the spoon and put it, with its picture into a plastic bag. By the time we arrived home, the bowl had bent an additional 90 degrees, 270 in all. I wouldn’t know how to create such a smooth roll, even if I took a spoon to the lab. At the party, I later bent the bowl of a similar spoon by brute force, damaging my hand in the process. The bowl creased sharply as I broke the back of the bowl. It looked nothing like Jane’s. The following month we had another opportunity to go to a PK party. Northern California does have some advantages. At this party Hauk (a metallurgist from Boeing) had one-foot long, 3/8 diameter aluminum rods as objects for bending. Holding one of these rods in my two hands, I had the experience of it getting springy. As I bent it back and forth with my eyes shut, I finally had the impression that it froze in the bent position. This turned out to be about 30 degrees. The results of the experiments and studies, which presented an ” existence of one or more perceptual modalities through which individuals obtain information about their environment ” were written up in ‘Nature’ magazine. This particular point in time seems to have been a key point in the ‘Geller phenomena’, as the resulting response of disbelief and claims of poor scientific method from a small group of skeptics, resulted in a rise in publicity for Uri which lead to an intrigued media clamouring for his presence. From this point on, Uri became famous for what he is perhaps best known for now, ‘spoon-bending’, although even the smallest amount of further glance reveals other phenomena displayed by Uri, including, remote-viewing (RV). Geller, of course, has moved on. When I spoke with him he revealed that he became uneasy about the motives of some of those who pertained to ‘debunk’ him. Indeed, there appears to have been a ‘PSI war’ sparked as a result of Geller’s demonstrations. So deep and intractable became the ‘war’ that Geller felt he had no choice other than to protect himself through the Courts. Law suits were filed and won, yet the campaign to ‘expose’ Uri became a quagmire of personal attacks as the ‘skeptics’ failed to provide proof of their assertion that he was somehow ‘cheating’. The resulting mess perhaps affected the both the face of ‘skepticism’ and the progress of scientific co-operation from other people who claimed ownership of similar phenomenal skills. Something quite ugly appeared to have reared its head within the guise of ‘skepticism’. Geller, perhaps wisely, walked away and chose to regain his true ‘self’ which had taken rather a pounding! ( When I spoke with Uri, he told me that he still meets with scientists and accepts the positive motive behind scientific discovery, it seems it is the adversarial ‘pseudo skeptics’ which Uri has washed his hands with, not skepticism per se. ) Indeed, one only needs to look at the highly credible witness testimony of people like Dr Werner von Braun , Dr EW Bastin and Dr Edgar Mitchell ( see: http://site.uri-geller.com/what_scientists_say_about_uri_geller ) to see that some of the most credible academics in the world have witnessed both the bending phenomena up close and first hand. Some of these people even witnessed the objects *continued* bending after Uri had touched them. Skeptics often claim that these people are not experts at recognising the tricks and tools of deception, yet how do we explain the witness accounts of some of the worlds finest stage magicians, also seeing the first hand ‘bending’ phenomena? ( see: http://www.uri-geller.com/uri-biography/uribiog4.htm ). The testimony of these people alone show that Uri Geller is perhaps NOT the ‘Parlour Trick’ charlatan some pseudo-skeptics claim. ” PK means action of mind on matter at a distance. The matter is “outside” the “body” in some cases as in the alleged “Geller Effect”. This requires “signal nonlocality” that violates quantum physics. There is a larger physics “post-quantum physics” that permits “signal nonlocality”. Quantum physics is a limiting case of post-quantum physics in the same way that classical physics is a limiting case of quantum physics. Post-quantum physics -> quantum physics -> classical physics. Sarfatti has some intriguing insight as a witness to the ‘bending’ pheomena. “I have seen things ( PK) in my trip to Brasil in 1985 shown to me by a General in the Brasilian Army, allegedly from a UFO that landed in the Amazon jungle, that is like what Uri did with metal but even more complex than what I saw Uri do in 1974. Another credible witness to the Geller ‘phenomena was Metallurgist and US Naval scientist, Eldon Byrd. Before his untimely death in late 2002, Byrd had had the opportunity to observe Uri first hand. “I first became interested in “paranormal” (in quotes because the phenomena will be “normal” once we understand the mechanisms) phenomena in general after seeing Ted Serios on the Alan Burke TV show (many years ago). The host was a skeptic, but changed his mind after Serios imprinted images on a sealed and guarded video tape. Q: What is your ‘up to date’ knowledge of PK and do you have any thoughts regarding the future understanding of PK? Byrd: “I developed several theories about how PK might work in the metal bending phenomena. 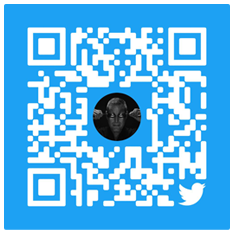 As a physical scientist I have always been more interested in phenomena that produce hard analyzable data, rather than the soft statisical pablum (baby food) of parapsychology. It seems, Uri Geller is the real deal. The fact that I have been able to track down and get up to date responses from some of the key figures in this story indicates that what became known as the ‘Geller Phenomena’, is still held by many people with credible scientific backgrounds as being a very real ability of human ‘mindpower’. Indeed, Targ speaks of ‘PK Parties’ amongst the intelligentsia, Govt sponsored physicist bending metals bars using the power of their minds. In respect of Geller, there is too much credible witness evidence to suggest that he is just employing mere trickery. Indeed, if such were the case, he would be perhaps even more of a phenomenal person, having maintained a level of deceit so powerful it has managed to fool some of the most credible academics in history, people with high level security clearances, physicists, metallurgists, astronauts, magicians, politicians and world leaders, in short – the kind of people we tend to invest our trust into. correspondence with Dr J.Sarfatti, Dr Hal Puthoff, Dr.S.Blackmore, Edgar Mitchell, Russell Targ, Eldon Byrd.